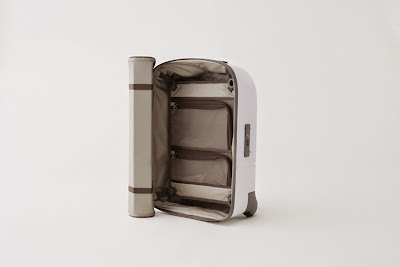 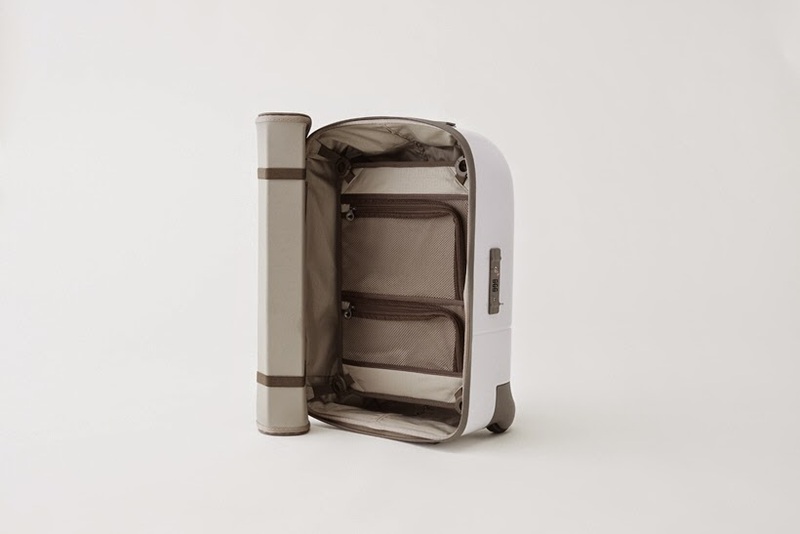 i*a favourite Japanese design firm Nendo has moved away from household design and into the arena of luggage with the Kame suitcase. 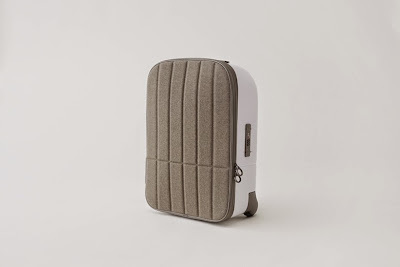 Applying their usual care and foresight into practical design the piece, which is made for luggage brand Fabbrica Pelletterie Milano, combines the benefits of hard- and soft-sided luggage. 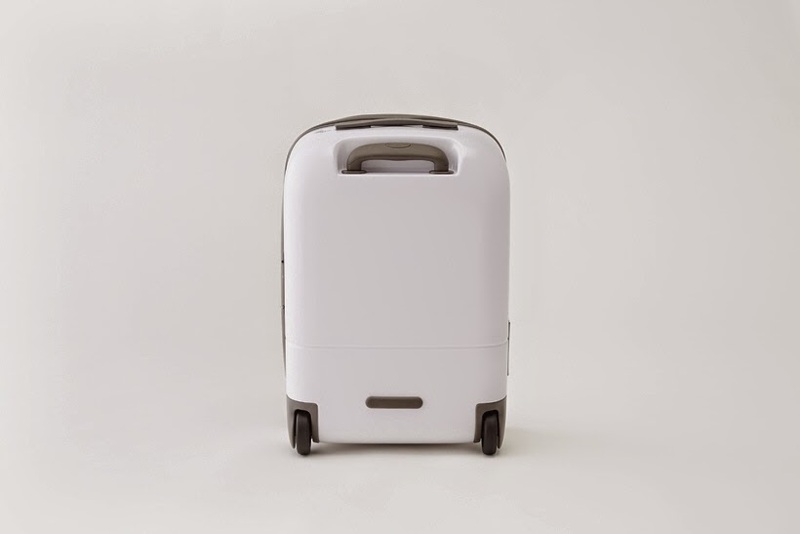 The hybrid style combines a polycarbonate body for rigidity and strength with a soft, segmented lid. 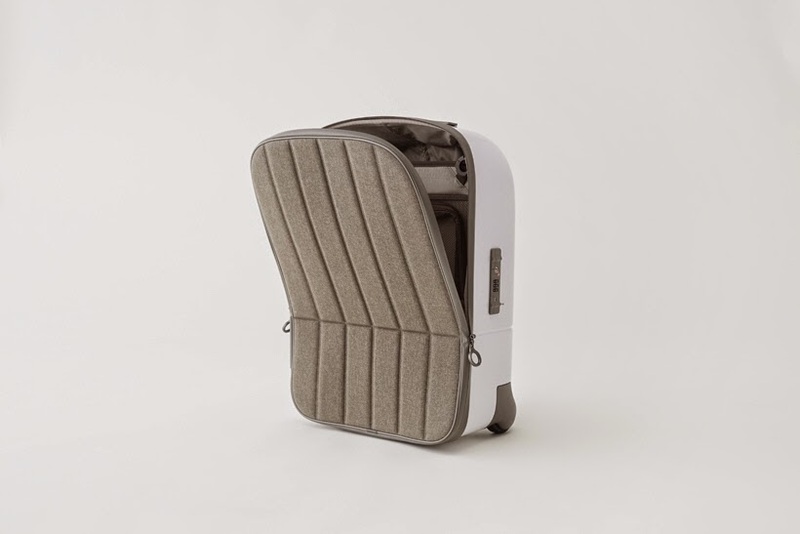 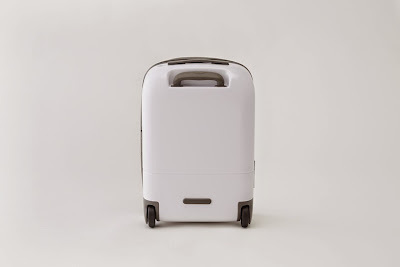 The design of the lid allows for expansion and it can be opened along two different axis, enabling easy access to the contents of the suitcase.